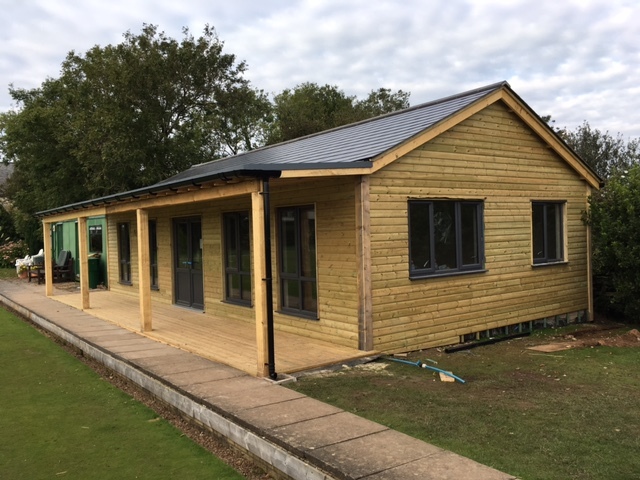 Pentyrch Bowling Club is very pleased to have chosen local building company Courtney Homes to design and construct our new clubhouse. 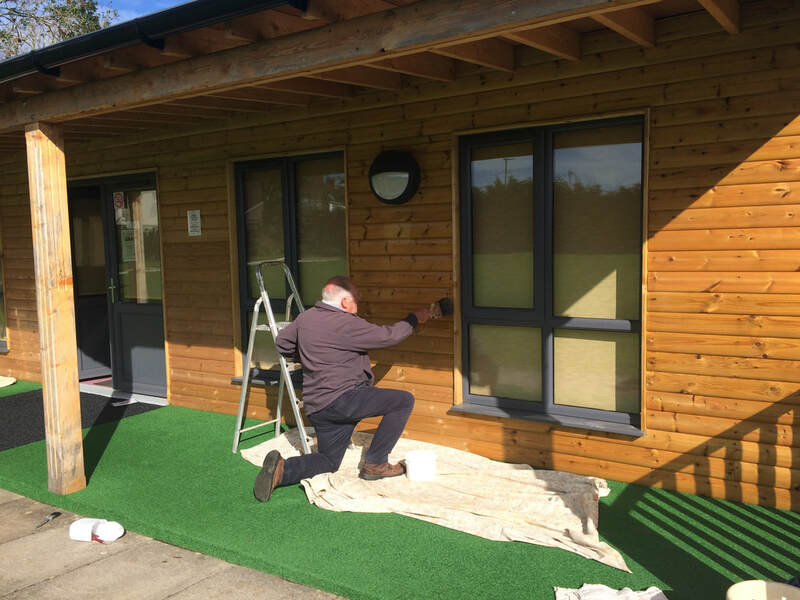 On a gloriously sunny early October day some of our hardworking members volunteered to carry out the essential task of painting the entire pavilion with wood preservative. 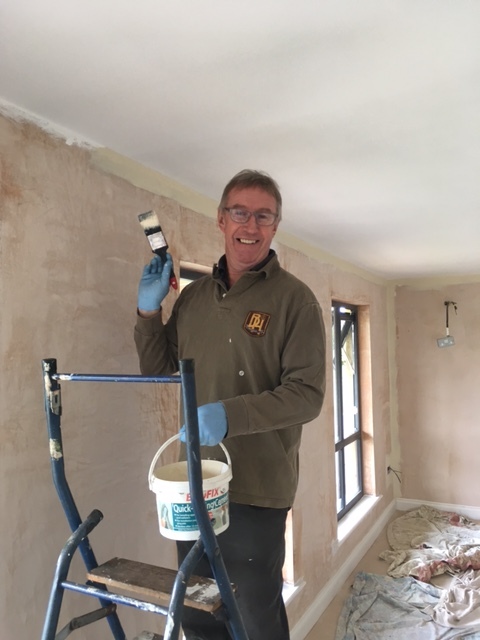 Huge thanks to John Eagle, John Davies, Ian Broxton, Brian Ilbery and Dave Ashmore for helping and to the other offers that weren't needed after today's successful day. It's hard to believe that this time last year the main building had only just been constructed. 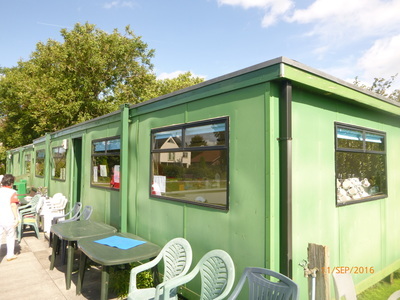 (Scroll down this page to see the history.) 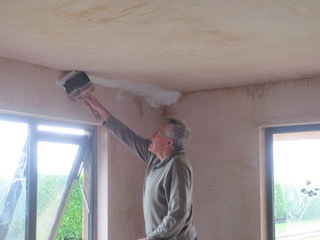 What progress has been made and we have enjoyed a whole season of it's use. Look out for two more Coffee Mornings to be held in the pavilion before Christmas. 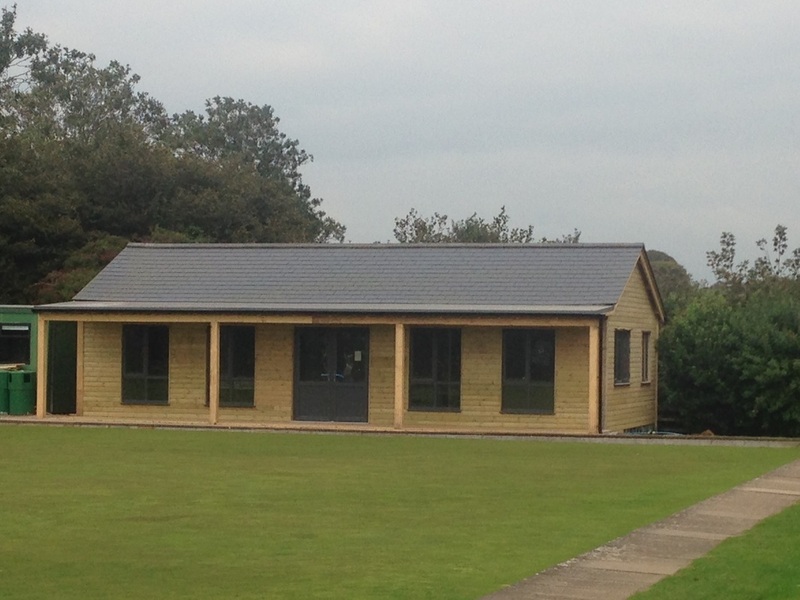 The pavilion is now being used for social events with the first Bingo Night held today. There have also been three Coffee Mornings so far: May, June and July. The Coffee Mornings and Bingo Nights are held to allow members and non-members to meet and socialise and enjoy the surroundings and each others' company. 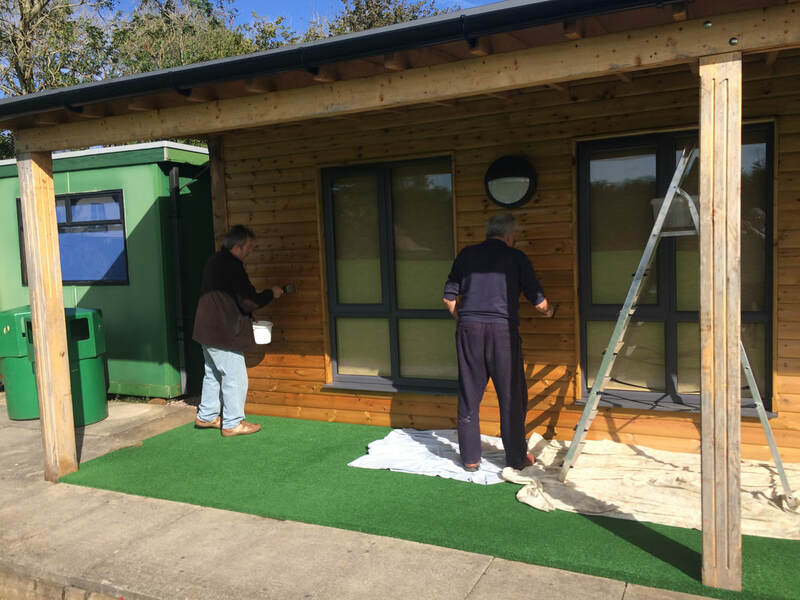 We really do want to open the club to the wider community to keep the club going. 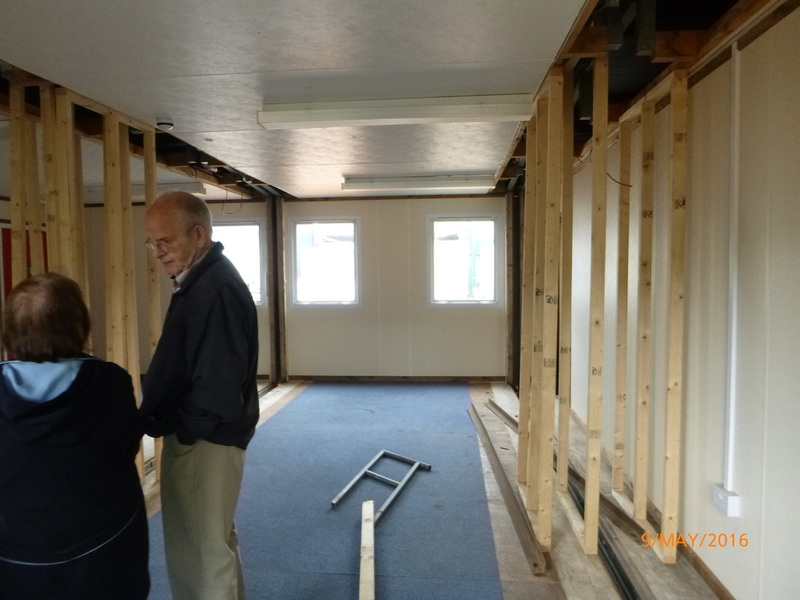 The events also help to raise much-needed funds to pay for the building itself and to maintain what we have. Please, come and support these events that people are working hard and spending a lot of their own spare on time to organise. 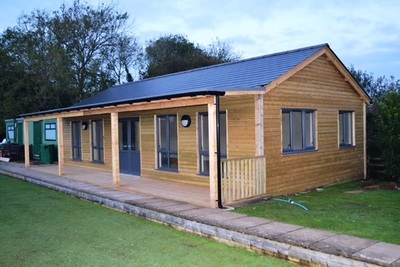 ​ The long awaited Official Opening of the new pavilion took place on Sunday 21st May on a sunny Pentyrch afternoon. 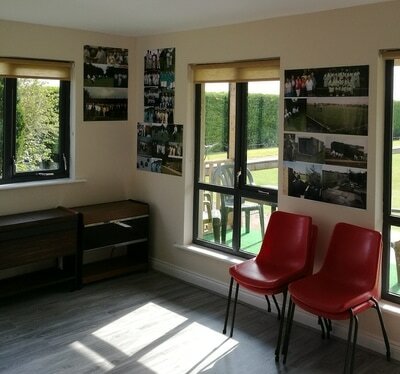 The sun smiled along with everyone who came to the official opening carried out by genial guest speaker Huw Llewelyn Davies (aka Arthur Llewelyn Jenkins). 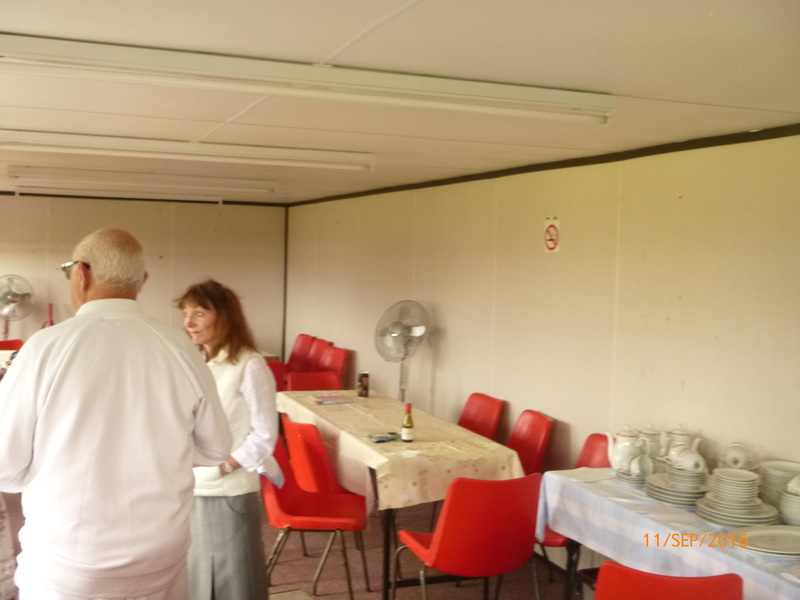 Club Chairlady, Jan Berry started proceedings telling us the history of the club, how it was founded and developed to the present day. 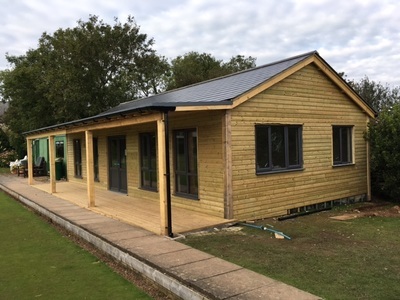 Huw Llewelyn Davies then spoke of the fantastic sporting facilities of the the village and how the magnificent new pavilion, designed and built by Matt Courtney of Courtney Homes would be a valuable addition to those facilities. Jan and Huw congratulated everyone's efforts in helping the project come to fruition and for everyone's help for the Opening Day's events and catering. Huw then cut the ribbon and declared the pavilion officially open. 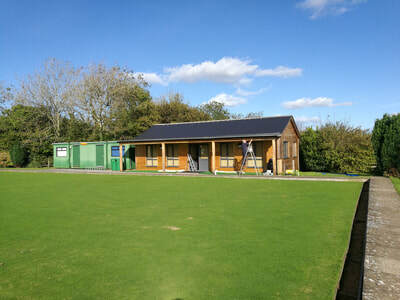 Club Captain, Howard Thomas then led the guests and visitors in playing two "spiders" - a game where participants each with one bowl, stand on the edge of the green with one foot in the ditch and on a given signal all bowl towards the jack which has been placed in centre of the green. The winner being the person whose bowl is closest to the jack after all the commotion of so many woods converging and hitting each other. 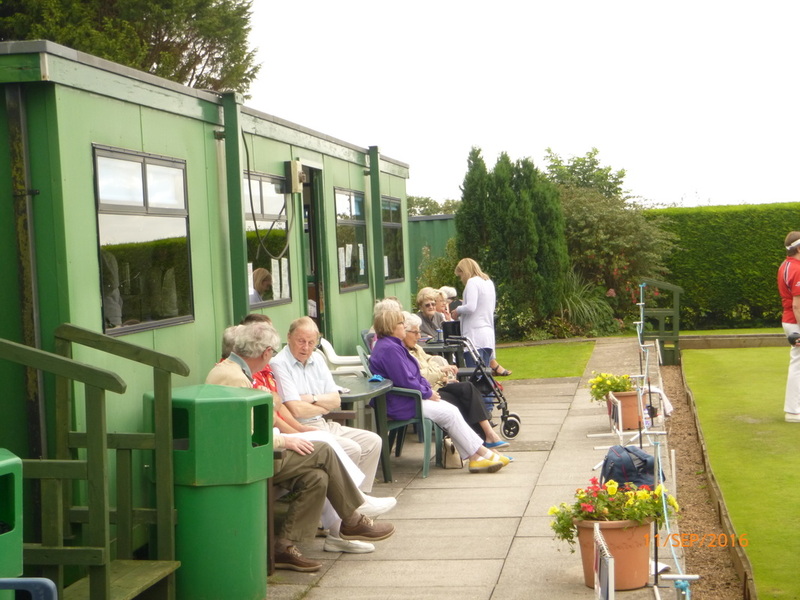 Ladies' Captain, Eileen Boddington thanked the ladies and organisers of the day's festivities before inviting everyone to enjoy the magnificent spread of food. 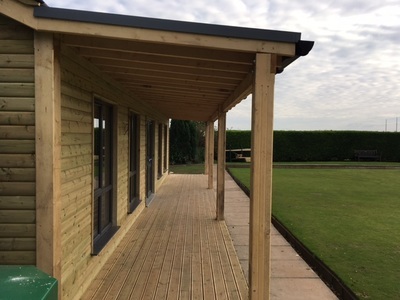 Everyone mingled enjoying the company and the warm sunshine that fittingly showed the new building at its best and showed what an asset the verandah will be as a place to watch bowls or just relax. 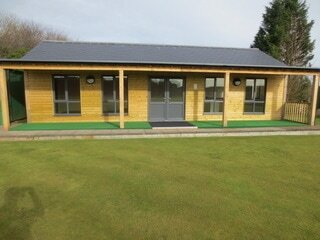 Two more games of spider and a raffle rounded off a great afternoon's celebrations. 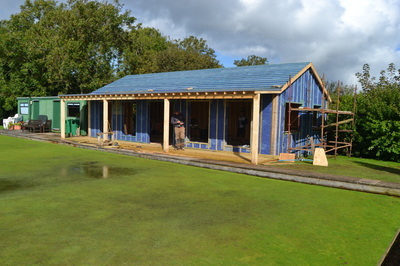 With only two days until the opening of the green and the beginning of our 26th season the pavilion is ready. All of the honours boards have now been put up with the help of and the furniture set out. The weather looks set fair for the opening of the green on Monday 10th April and will, hopefully, prove to be a good omen for the season and longer future of the club. John Berry has made a display of photographs showing some memorable moments and characters who have made the history of our club so far. 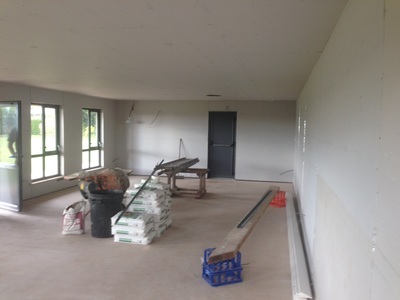 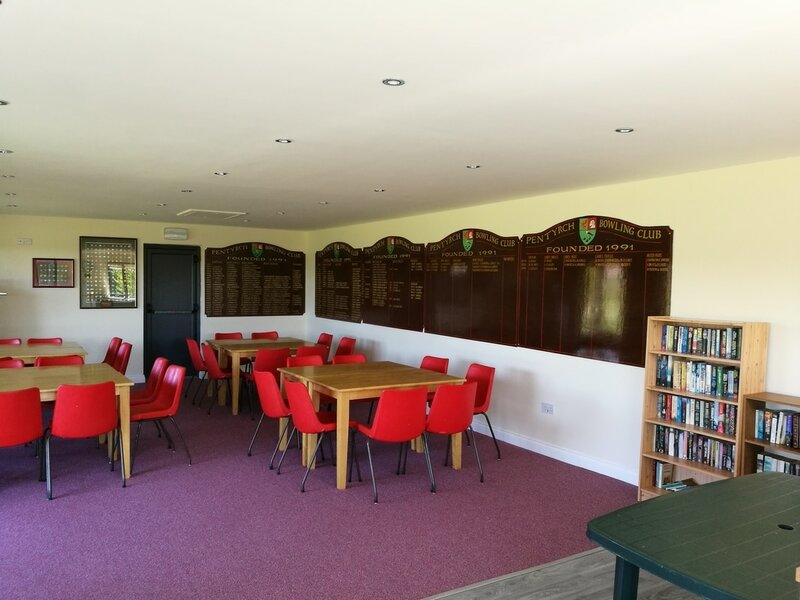 A big "Thank you" to the six helpful volunteers who began putting furniture into the new pavilion as well as putting the honours boards and other memorabilia on display on the walls - beginning to look like home. 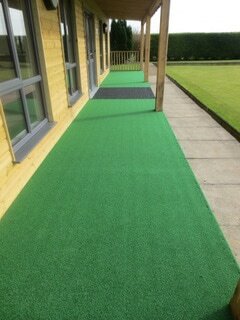 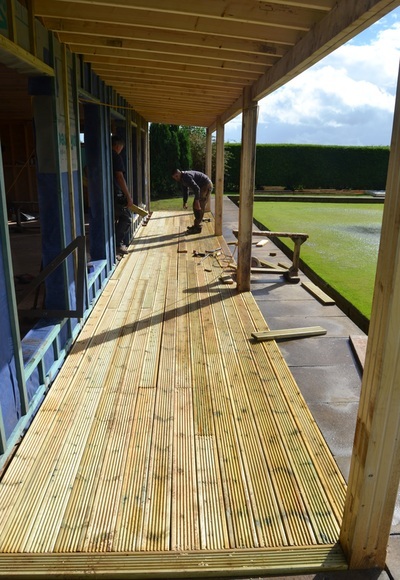 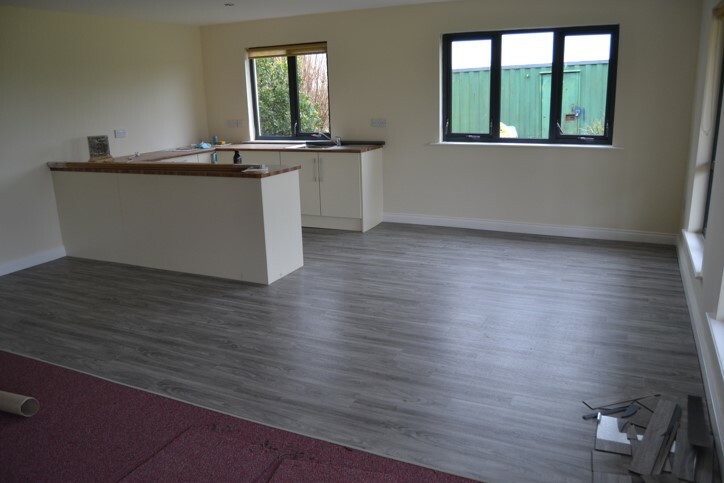 Thursday 9th March - The kitchen floor is now completely finished and the decking on the verandah has been covered with green carpet. 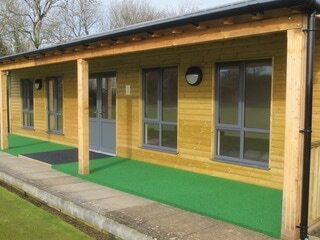 - looking really good in the spring sunshine! 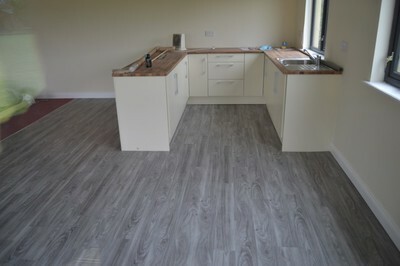 The new kitchen floor has now been laid as well. 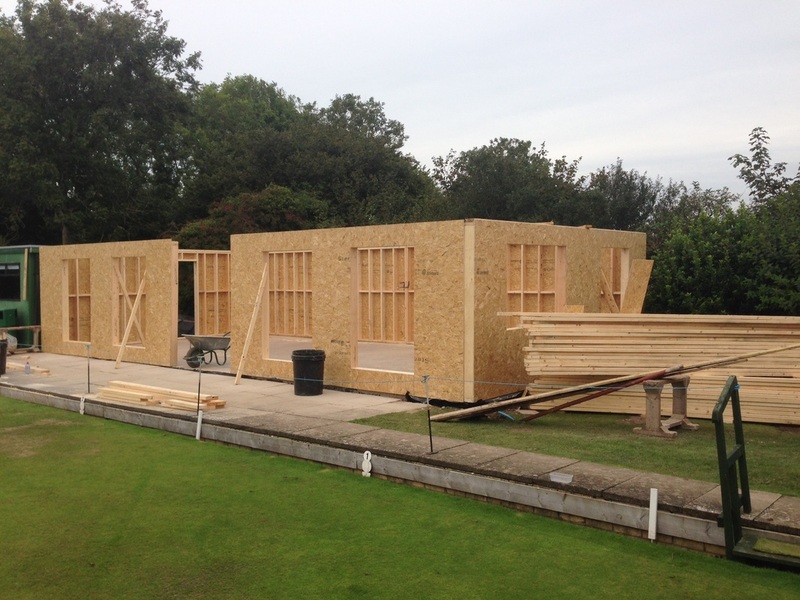 Really looking forward to welcoming members, friends, visitors and opponents to our new home. 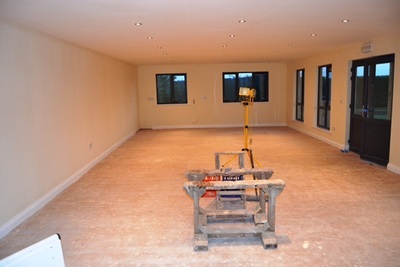 The new floor has been laid this week. 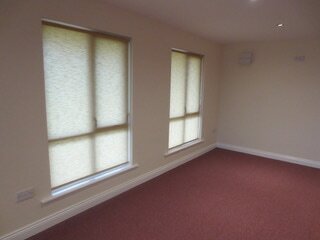 New blinds have also been fitted. 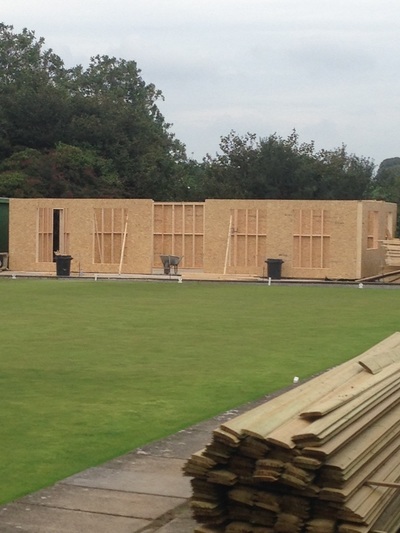 It looks as if everything is coming together for the start of the new season. 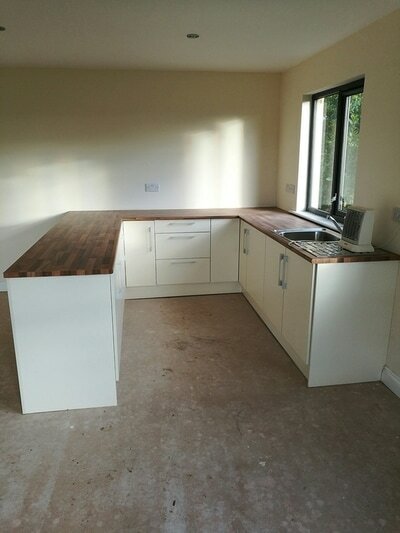 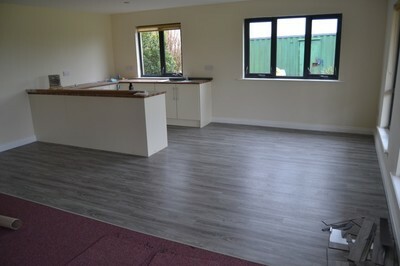 The kitchen has now been installed and is ready for use. 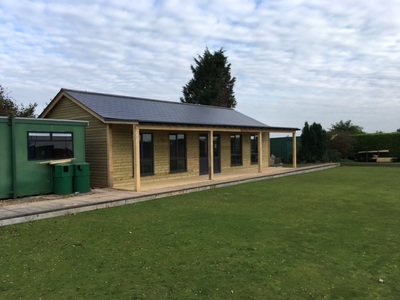 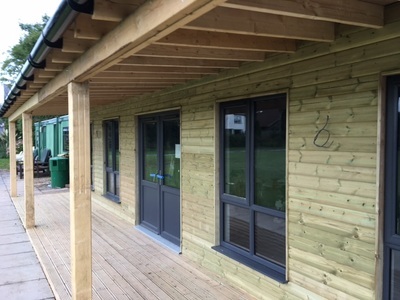 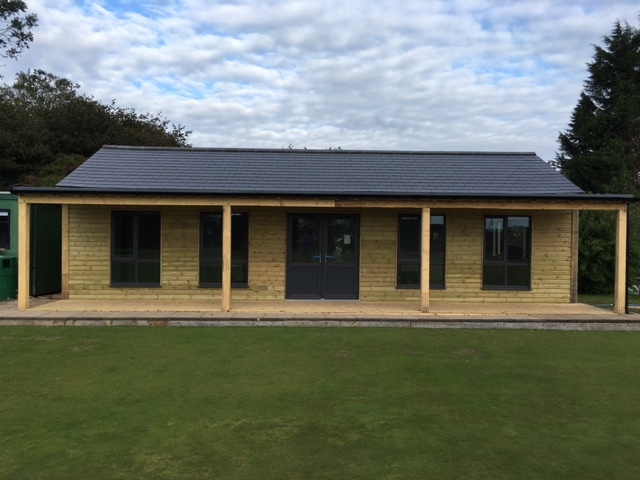 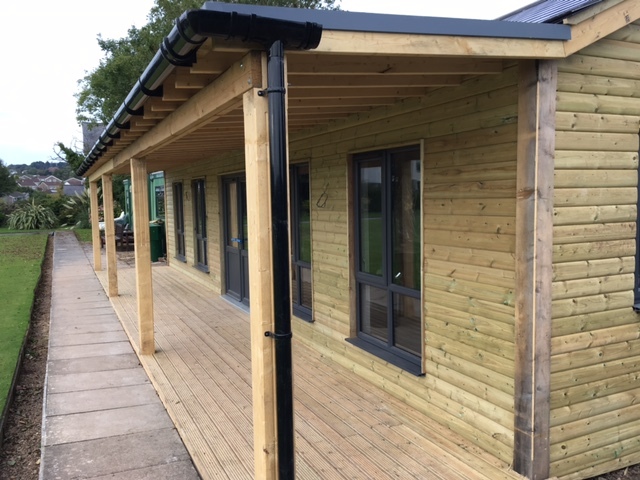 Officials of the Welsh Government and Aggregate Levy Fund visited the club to see the new pavilion for themselves and are very happy with the results. The funding provided through our successful application to the Welsh Government provided more than half the money to build the new pavilion with the remainder paid for by pledges from members and fundraising in general. 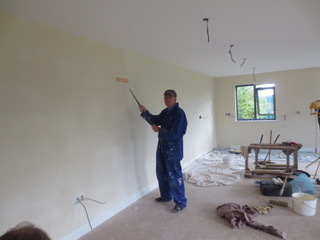 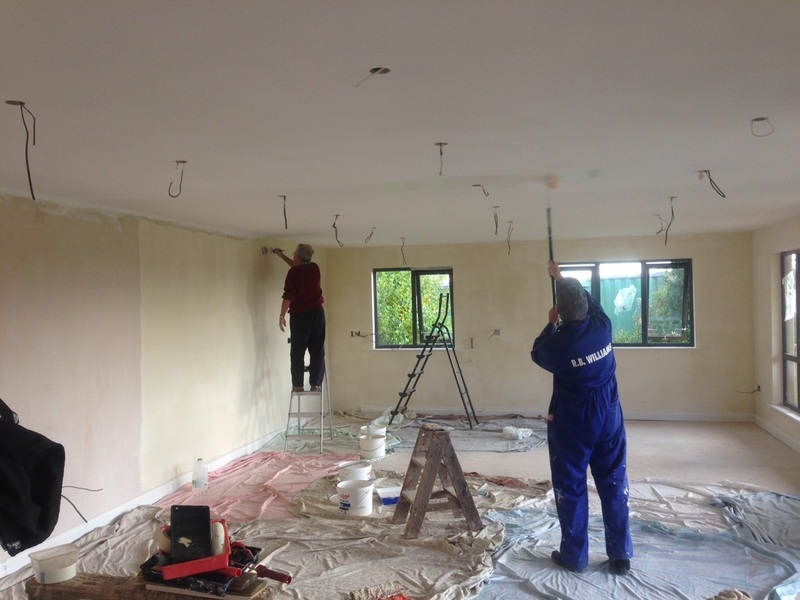 This week the electrician did the final electric fit and various members helped to finish off the painting and do a general tidy up. 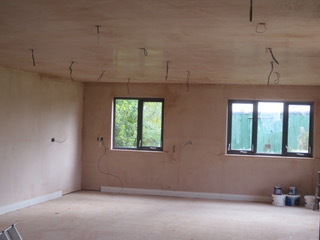 The electrics outside were also finished. 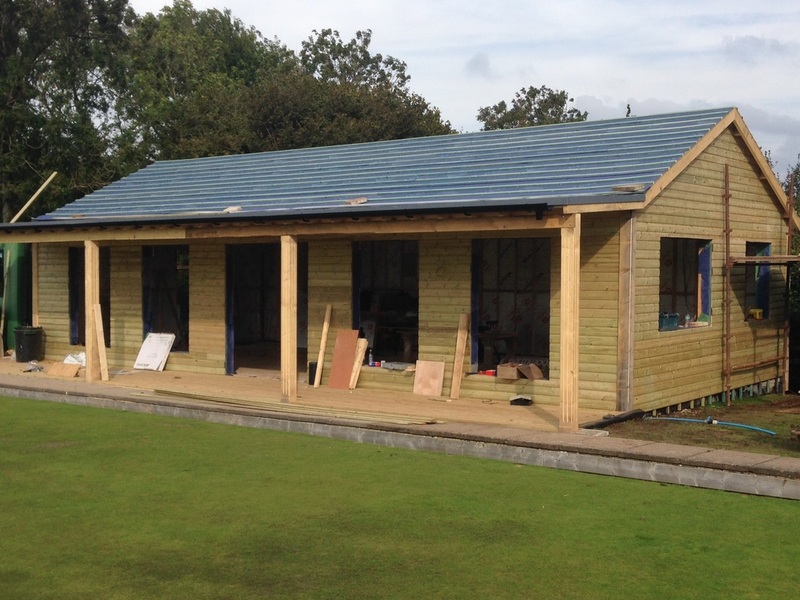 The pavilion looks impressive with the illuminations all done! 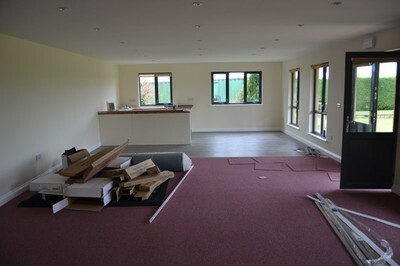 The next stage inside will be the fitting of the kitchen and laying the floor. 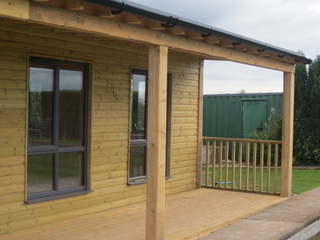 Note also that the guttering and drainpipes have also been fitted. 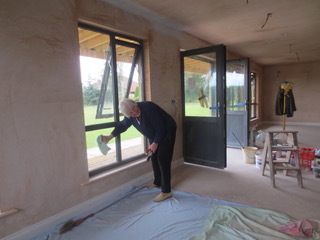 Next week volunteers will be needed for staining and applying the preservative for the verandah. It should be noted that the project has been blessed with exceptionally good autumnal weather that has helped the work carry on unhindered. 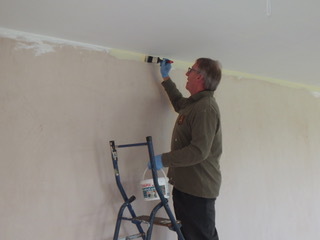 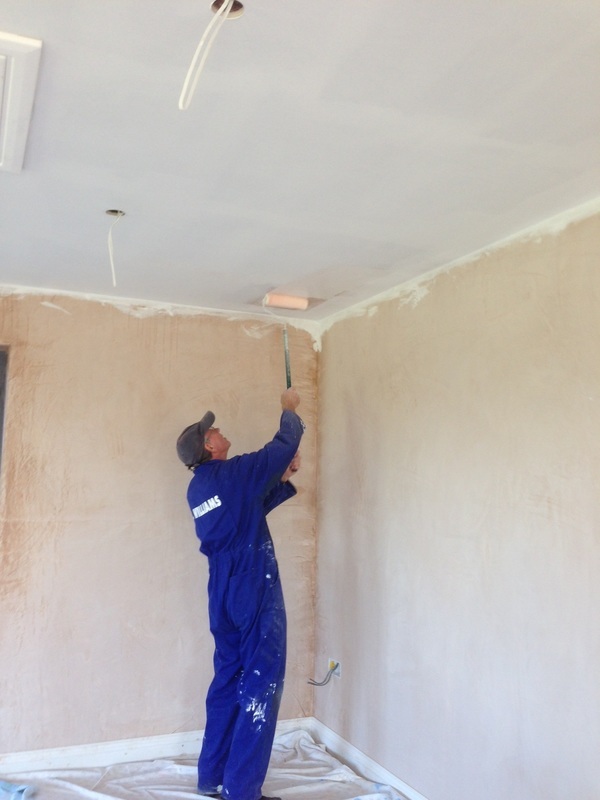 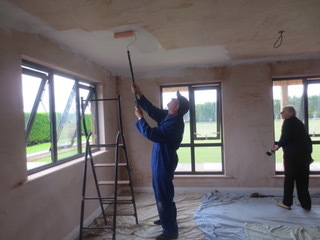 The builders have finished the plastering so it's over to the membership of the club for the painting and decorating. 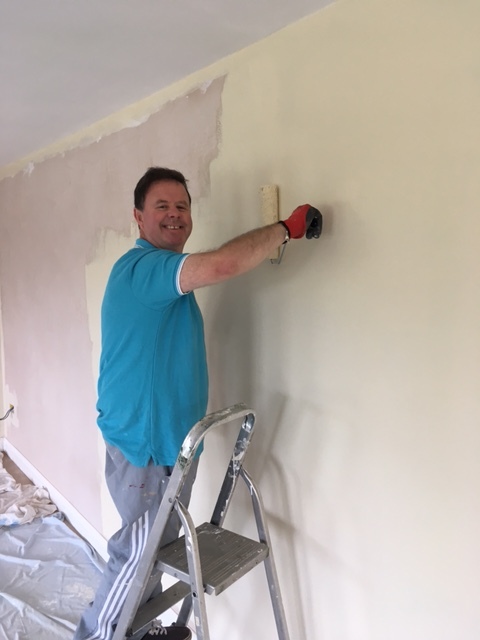 This relies on the help of volunteers, so anyone who is available to help, in any way, for any time should contact Brian Ilbery. 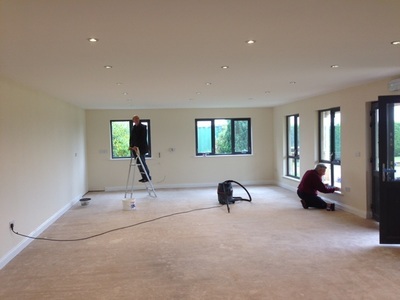 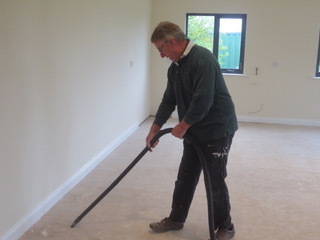 Once the painting has been done the floor will be laid, followed by installation of the kitchen. 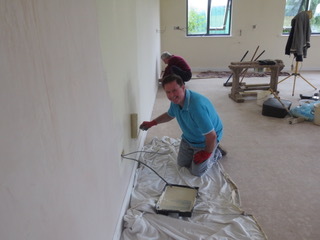 Thanks to everyone who has helped getting things started this week. 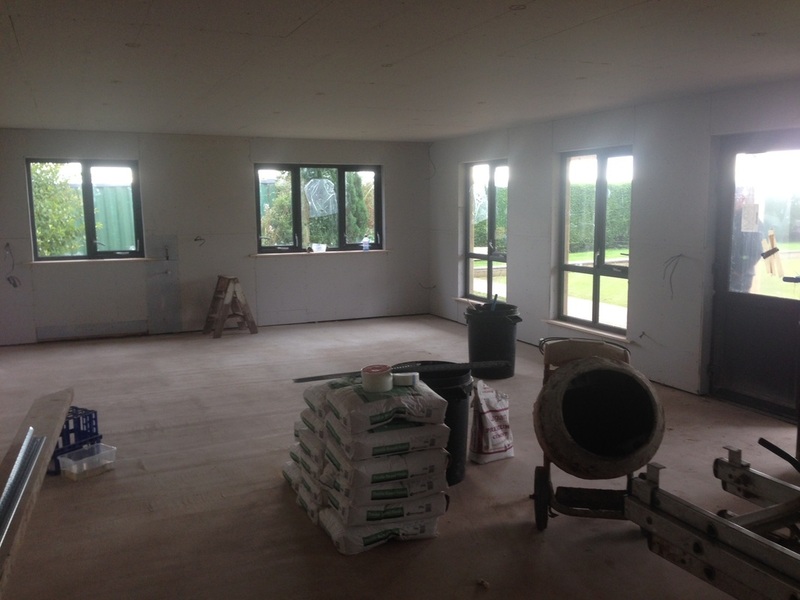 This week the work moves inside​ with the walls and ceiling all prepared for being plastered. 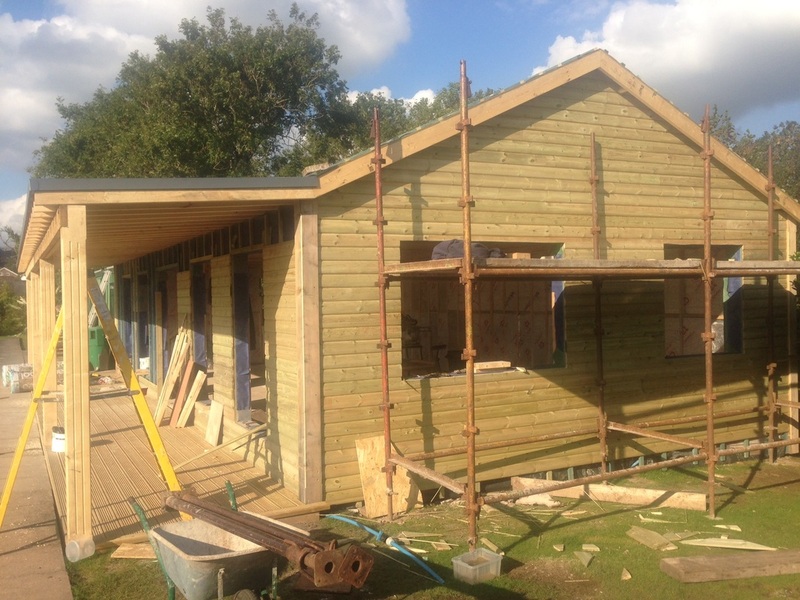 Saturday 8th October: Only minor finishing touches are required on the exterior of the pavilion. Next week internal work will involve plastering the internal walls and ceiling. 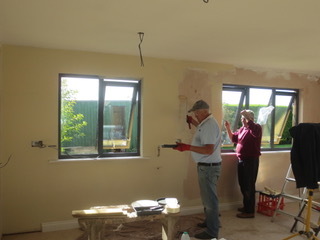 Friday 7th October: all windows, tiles done - looking superb. Internal work now to be done. (See below) A building to be proud of! 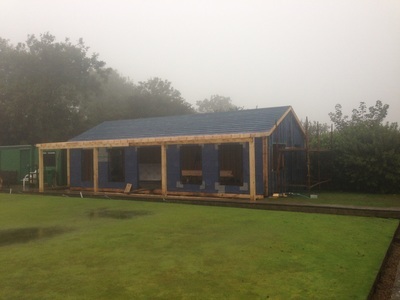 Thursday 6th October: The windows and doors have been installed today and the roof is now partially tiled. ​Tuesday 4th October: Really taking shape now, with more cladding added to the external walls. 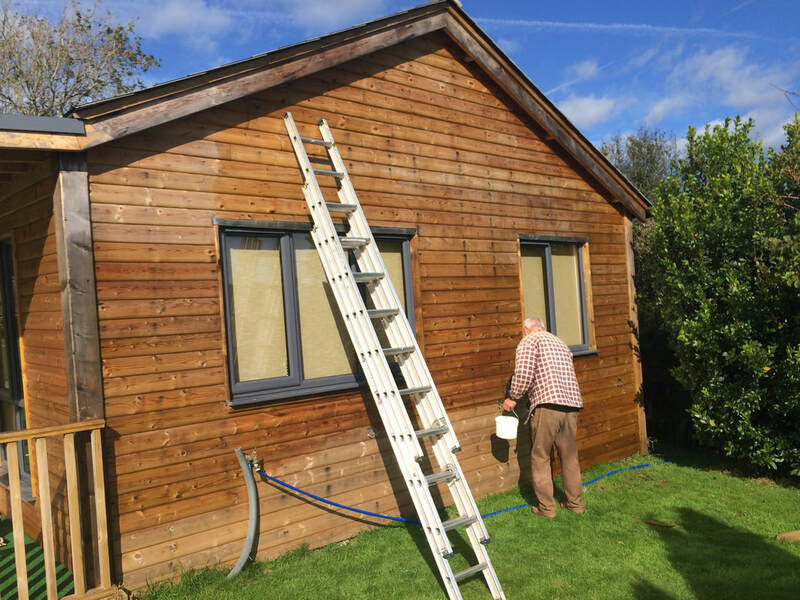 Monday 3rd October: After the torrential rain of Saturday, came a brilliant Sunday of late, warm autumnal sun to dry things out. Monday's weather continued in a similar vein, allowing for more great work on the pavilion. 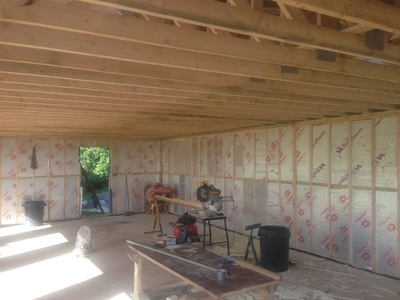 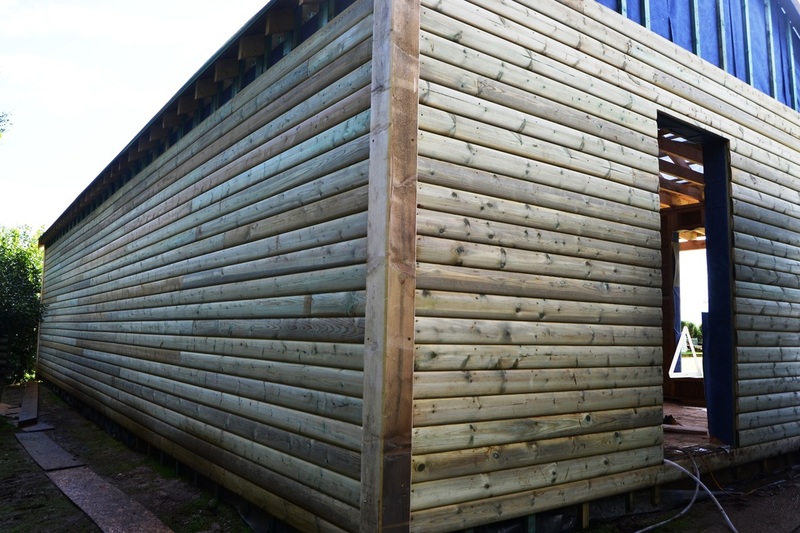 Outside walls are now clad in timber and the inner walls are insulated. The overall look is taking shape and looks very impressive. Friday 30th September: At the end of another week of great progress on the pavilion. The whole building now has a waterproof membrane. 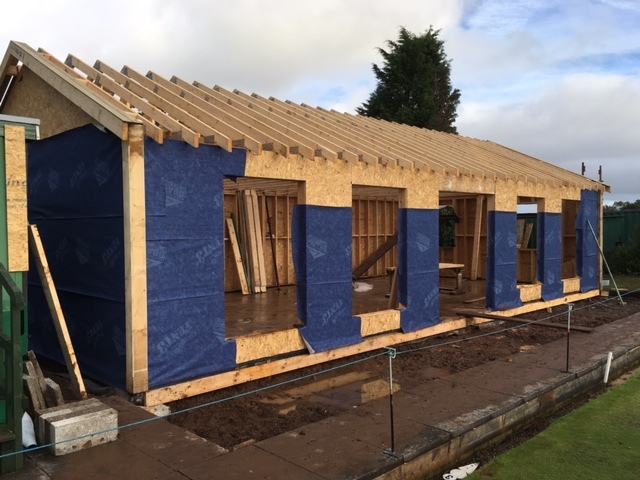 The battens of the roof are in place, the rear of the building is partly cladded and the floor of the verandah is in place. 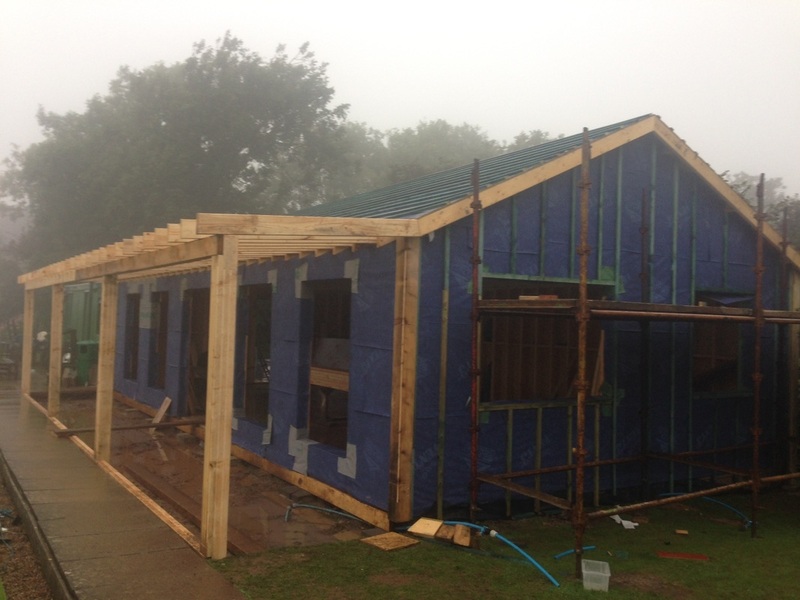 Wednesday 28th September: A largely gloomy and rainy day saw the roof of the pavilion being waterproofed and the ​installation of the frame for the veranda. The green in the meantime had a good watering. 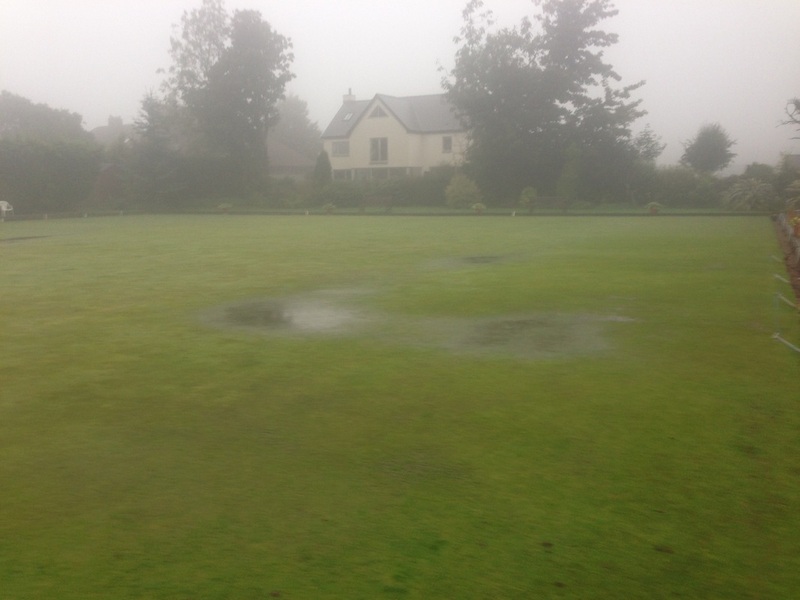 No work on Monday due to heavy rain that also left the green heavily flooded during part of the day. 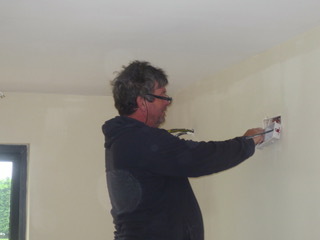 On Tuesday work this time on waterproofing the frame. 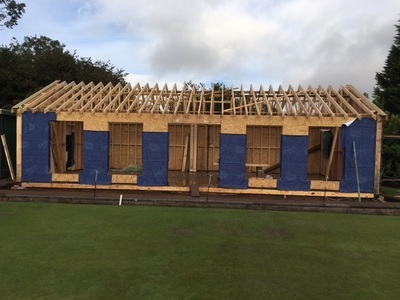 Thursday 22nd September, with warm, dry and sunny weather the builders have been able to make excellent progress with the roof frame,which can clearly be seen in the photographs below. 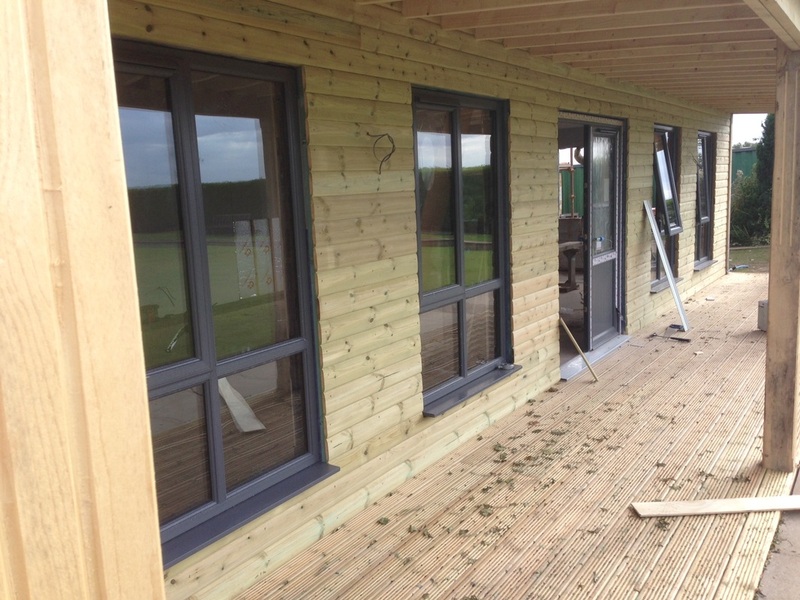 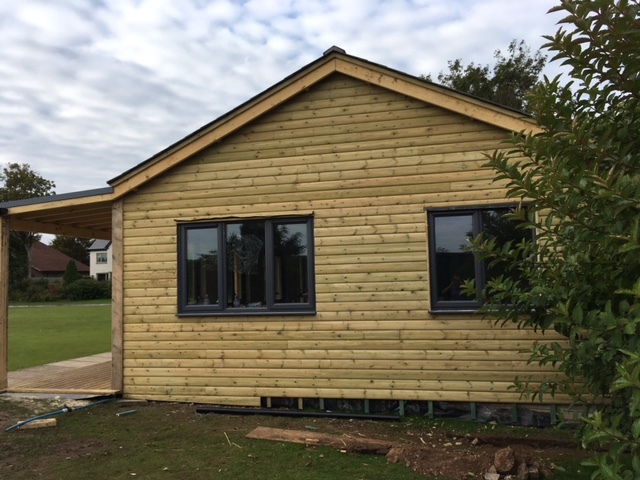 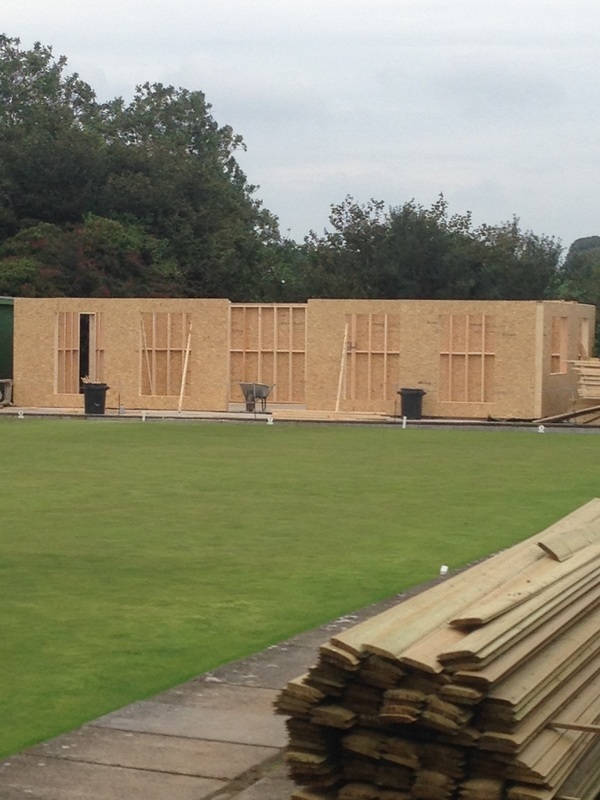 The low window frames will allow for spectators to watch bowls games from inside the pavilion with little restriction of the view. 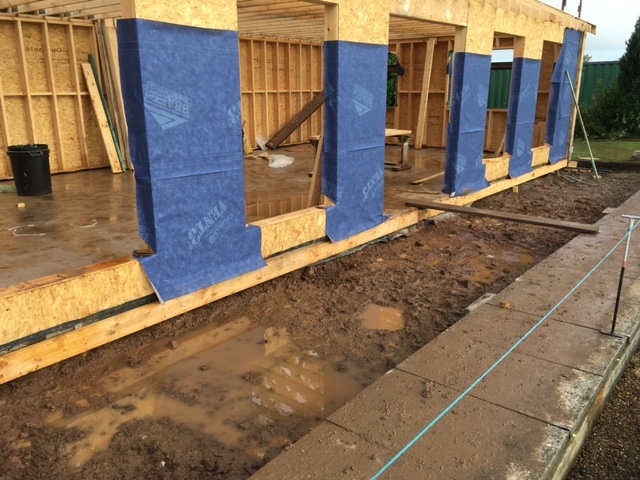 Friday 23rd September - the gable ends have been completed and excavation for the veranda has been dug out. On Monday 19th September the concrete base for the new pavilion was laid. A solid base for the new building. 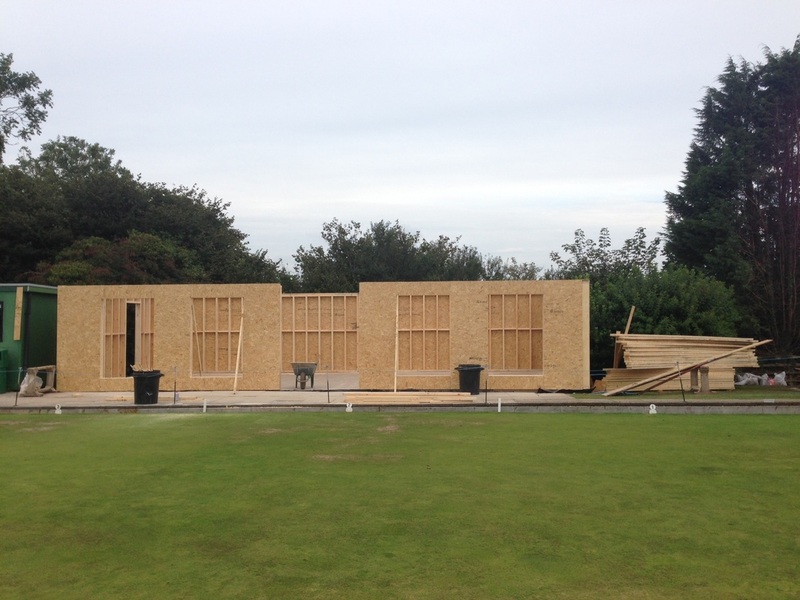 After a day for the concrete to "go off", on Wednesday 21st real progress as the framework and walls take shape. 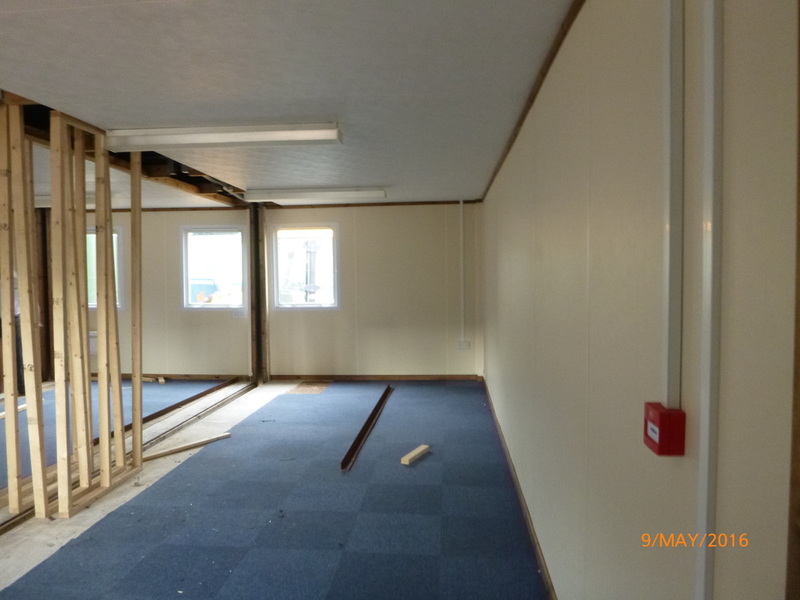 An incredible rate of progress to far. 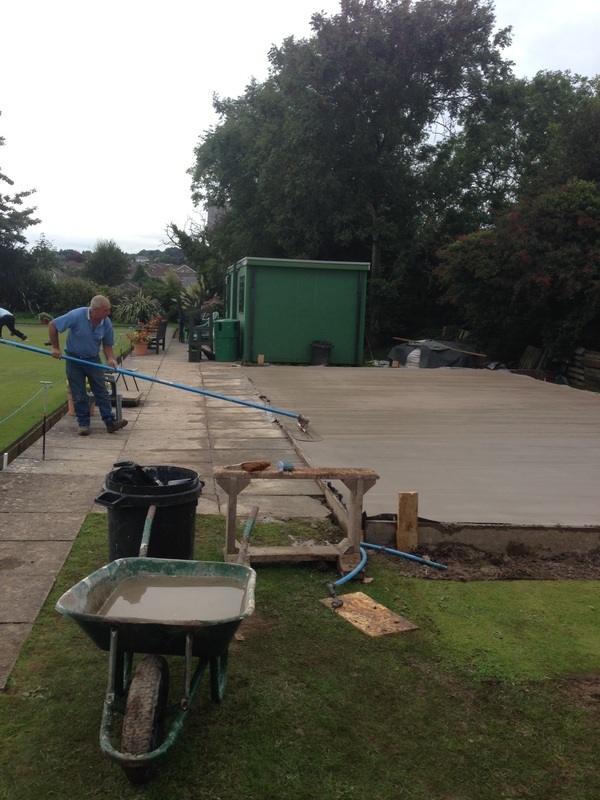 The first picture shows the concrete base being smoothed off. The other pictures show how the walls and window frames set out. 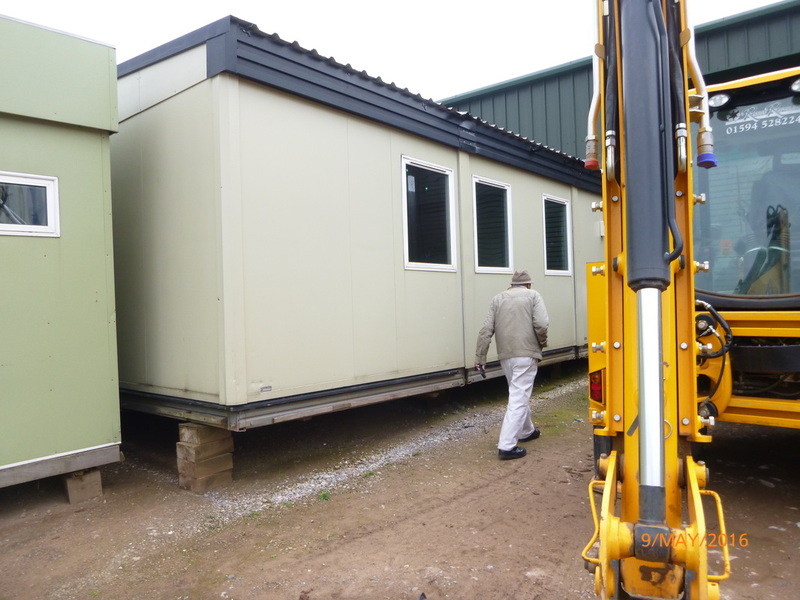 A working party, organised by John Berry begins the demolition of the old cabin. At last visible signs that change is going to happen after many days, weeks and years of planning, filling in forms, meetings, phone calls, site visits with moments of despair, joy and finally optimism that a new clubhouse will emerge. 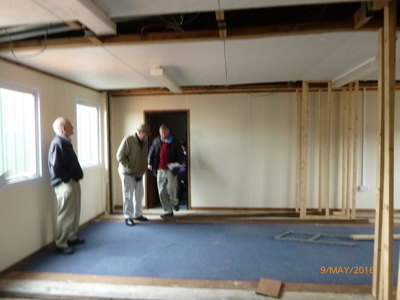 No doubt, there will be times of difficulty in the coming months of construction but now is a time to look forward. 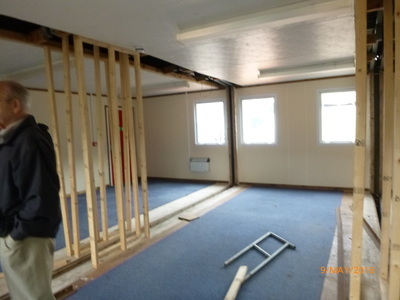 The working party for the demolition carried out between Monday and Wednesday, led by John Berry also included Brian Ilbery, Bernie Simpson, Owen Morris and John Eagle. 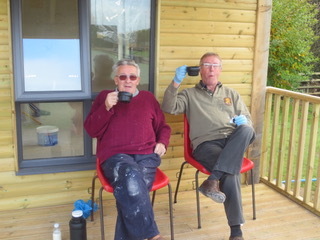 Many thanks to them and judging by the pictures, they enjoyed themselves too. 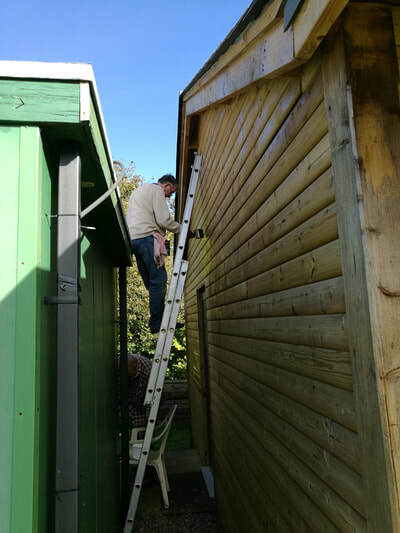 The youngest and one of our newest members, Owen Morris had the honour of removing the last part of the old cabin. 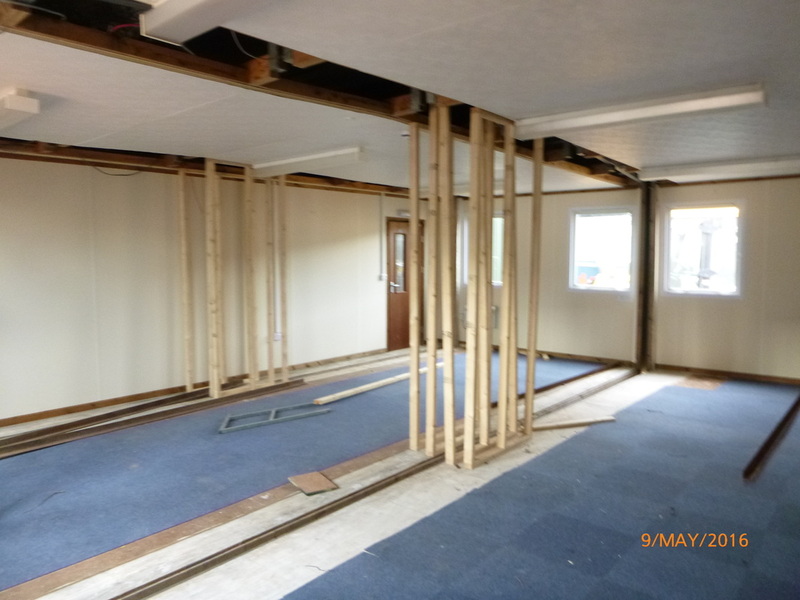 On Friday 16th September, the momentum of the work this week continued with the excavation for the concrete base. 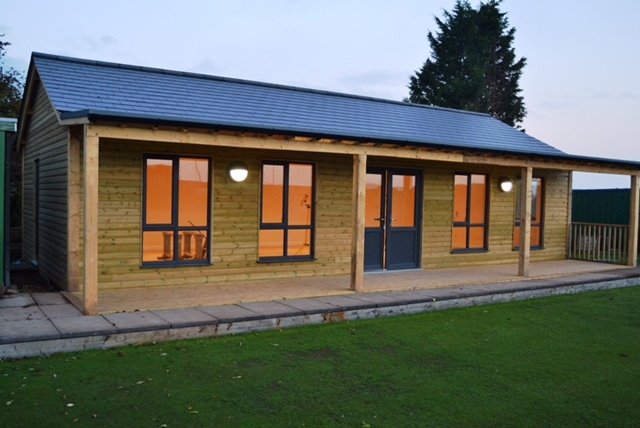 Finals Day on Sunday 11th September sees the last use of the cabin for match use. 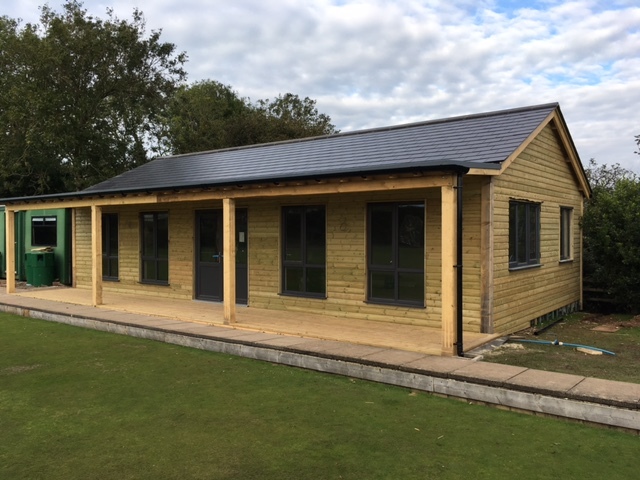 The previous day was the last time it was used in a competition in the Men's last PG1 game of the season against Pontyclun. Pictures below show the cabin on Finals Day with the honours boards already removed. 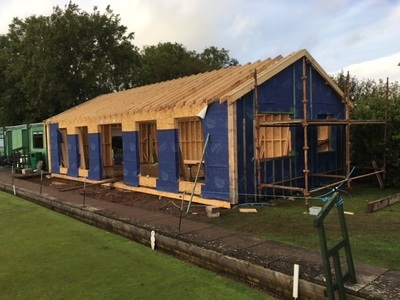 In late August the decision has been made to build a purpose-built wooden pavilion to replace the old cabin which serves as the main clubhouse. 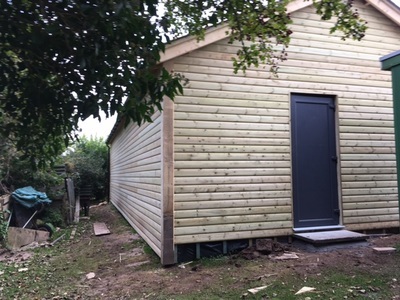 In early September the pledges have been collected and finally work can start on demolishing the old cabin in preparation for laying a concrete base for the new structure before the winter weather sets in. 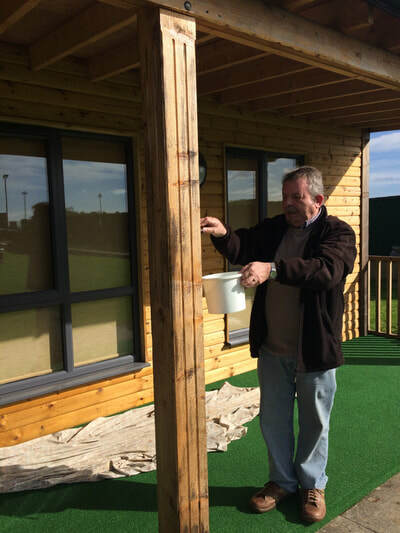 For over a year, Club Secretary Brian Ilbery has led and worked extremely hard on attempting to secure funds for a new clubhouse. 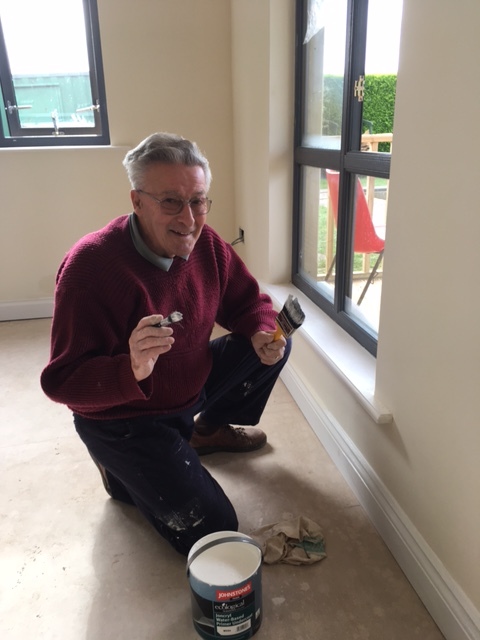 He has completed massive amounts of paperwork and spent countless hours selflessly driving and cajoling members of the club to work an various fundraising projects. 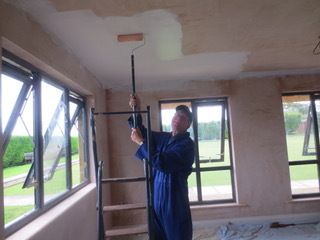 There have been several, difficult setbacks but Brian has remained admirably focused and determined and now with the generous pledges of many and practical help and advice, there appears to be a positive outlook on obtaining a much-needed new home for our club, subject to, hopefully, some "minor" tweaks and more planning applications. 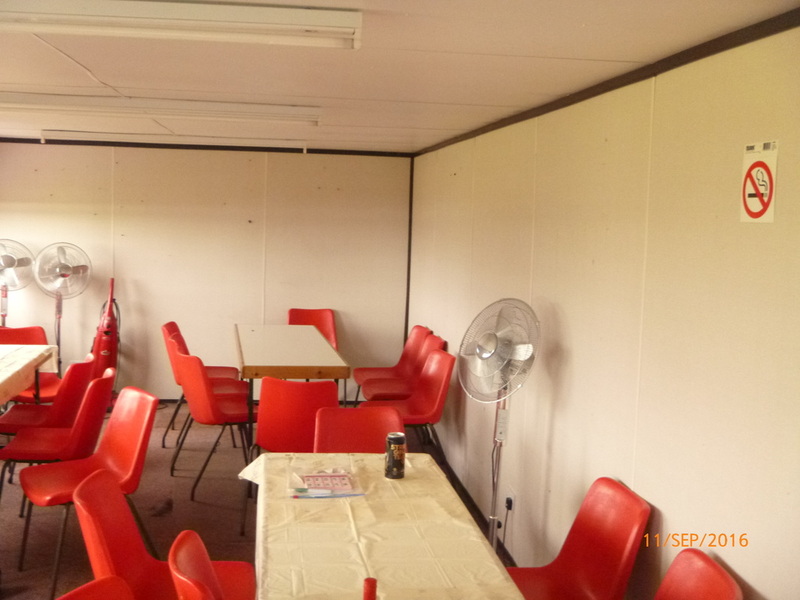 The prolonged poor weather last winter has accelerated the decline of the current cabins which have now been in situ for over 10 years. The main cabin needs to be replaced immediately and the changing cabin does not have much time either. 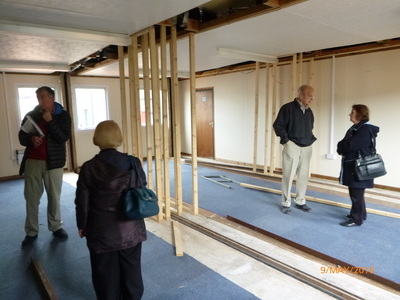 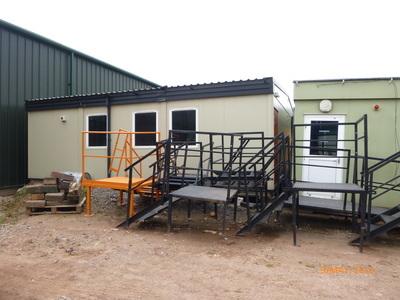 On Monday 9th May Brian Ilbery, Jan Berry, Margaret Krawiecka, Howard Thomas, Jim O'Dwyer and Liz Cugley visited a company called ​​​Reecer Space Ltd, near Chepstow to look at a potential replacement cabin. It has potential to be expanded to accommodate changing facilities as well as space for entertainment, social events and catering. 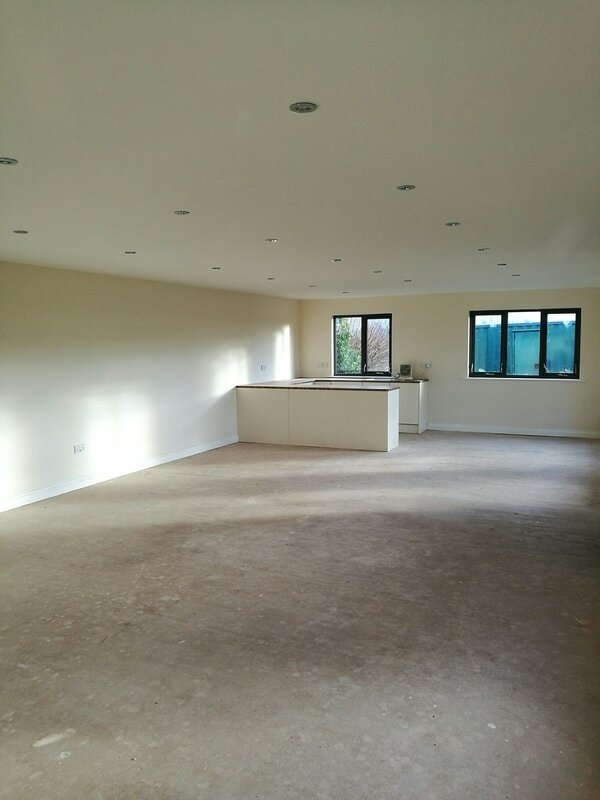 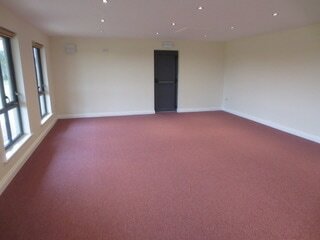 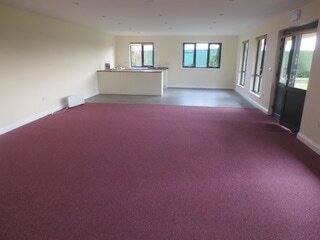 With increased floor space and heating, as well it could also be used for social events during the close season.